The GE Logiq 5 ultrasound is a mid-premium, multipurpose color imaging system with a high level of image quality, computational performance, and workflow flexibility. In terms of image quality, the GE Logiq 5 ultrasound is known for its advanced Phase Inversion Harmonics for superb image quality and contrast, as well as its algorithms and multi-focus settings designed for enhanced near-field display and general homogeneity. Furthermore, through GE’s TruScan architecture, the GE Logiq 5 ultrasound brings flexibility when acquiring, optimizing, and storing your imaging studies. The GE Logiq 5 Expert offers many high-end imaging features and is found at a very good price for a refurbished color Doppler ultrasound system. 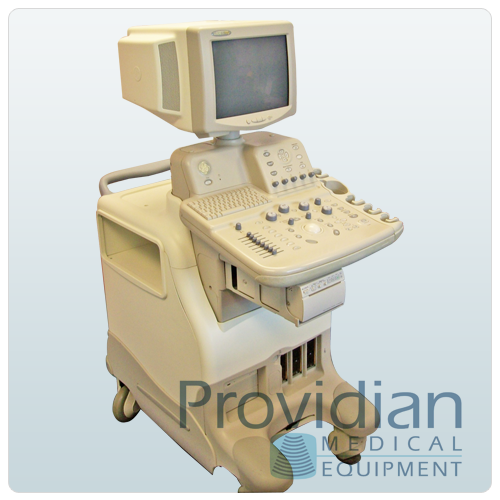 As a GE ultrasound machine, it is reliable and popular.